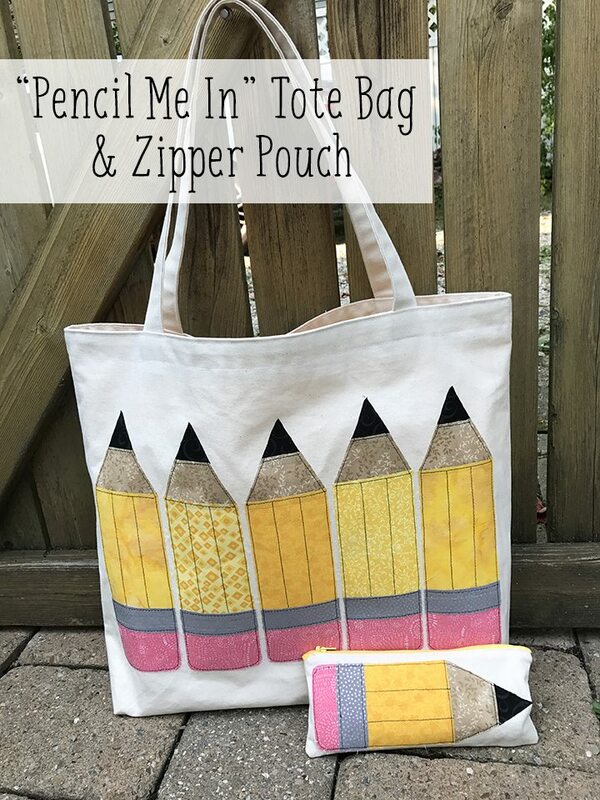 I’m so excited to introduce my first official pattern – the “Pencil Me In” Tote Bag & Zipper Pouch! I gave you a sneak peak a few weeks ago but the complete pattern is now available in the shop. 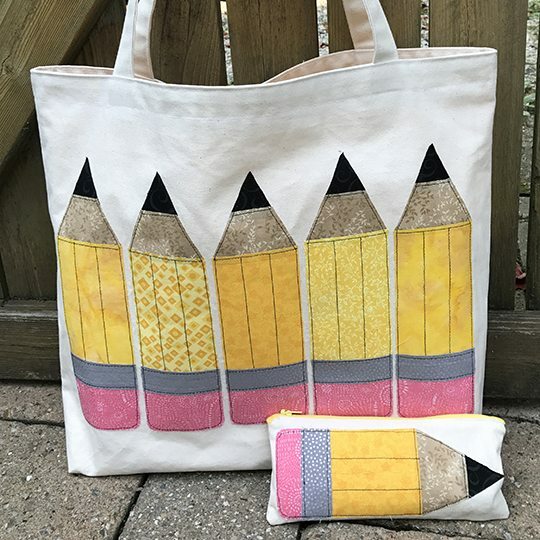 This pattern makes a large, fully-lined tote bag, perfect for a teacher gift or as a haul-all-the-things bag for yourself. The zipper pouch is also fully lined and sized to hold all the loose pens and pencils that rattle around in the bottom of your backpack or bag. It’s a relatively simple pattern, with raw edge appliqué on both pieces and simple installations instructions for the pouch zipper.